Movies show guys in bars drinking and becoming intoxicated when a relationship has gone awry. But did you know male fruit flies do the same? It seems self medication crosses species. 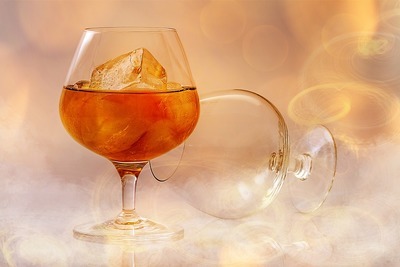 Fruit flies can come to enjoy alcohol, seems logical as fermentation happens naturally with fruits having sugar content and it is thought they can develop a liking for it just as their human counterparts. Apparently fireflies who have not been able to achieve the mating game drink nearly a quarter more than those who have. You can see more about this here. It seems there are more similarities between animals (ourselves included) and even between species. I learn something every day, Mina. Thanks for an interesting read.